Tough Duralite® polycarbonate lens absorbs 99.9% of UV rays. Indirect venting circulates air to lens.. The 4540+ disposable protective coverall is made of a high quality laminated microporous material wi..
Comes with 2 replaceable 2091 P100 filters. NNIOSH approved against certain organic vapors and parti..
NIOSH approved, re-usable half-mask respirator. Allows for greater worker flexibility by the use of ..
Corded ear plugs 100 pr/bx Box: 100 prDescription: With Cord.. 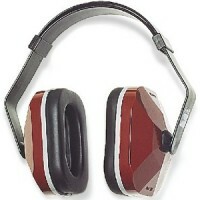 Provides ultimate comfort and reliable hearing protection. Constructed of non-conductive, dielectric.. Ear plug (200/bx) Box: 200 prDescription: Without Cord..
Use with 3M Filters 2000 Series, 3M Filter 7093, P100, 3M Cartridges 6000 Series, or 3M Dual Airline..
Filter adapter 502 @20 Description: Filter Adapter, minimum order 20..
Hepa filter p100 w/char. 2/bg Description: P100 Particulate Filter.. When properly fitted, helps provide respiratory protection from certain organic vapors and particula..
NIOSH approved against certain organic vapors. Use in a variety of workplace applications. Protects ..
Organic vapor cartridge 2/bg Description: Organic Vapor Cartridge for 6000 Seriesor 7000 Series with..
P100 particulate filter (2/bg) Description: P100 Particulate Filter..
Particulate filter p100(12/bx) Description: P100 Particulate Filter..
Particulate filter p95 10/bx Description: P95 Particulate Filter..
Particulate filter p95 (2/bg) Description: P95 Particulate Filter for 6000 Seriesor 7000 Series with.. 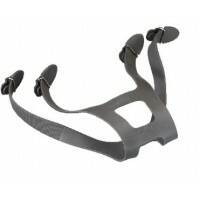 Designed to help provide comfortable, reliable worker protection against certain non-oil based parti.. Designed to help provide comfortable protection against certain oil and non-oil based particles incl.. Designed for applications such as welding, soldering and other operations in which metal fumes are p.. Provides protection from surface preparation, woodworking, etc. Also for liquid or non-oil based par..
Use in settings that involve heat, humidity and long wear periods and where particles and nuisance l..
Prefilters (10/box) for 6000 Description: P95 Pre-Filter.. Replacement Parts & Accessories for 3M Belt-Mounted Powered Air Purifying Respirator (PAPR)s and Sup..
Prefilter retainer @20 Description: Pre-Filter Retainer, minimum order 20.. 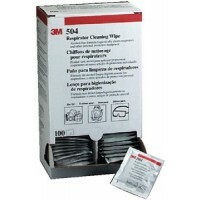 Individually wrapped wipes designed for use with half mask and full facepiece respirators. Dispenser.. Provides protection against dust encountered during sanding jobs. Pack: 2 per card..
Standard, economical protective eyewear for site visitors or general use offers impact protection, w..
Worker safety kt over the glas Description: Over The Glass design eyegear..
Worker safety kit readers 1.5 Includes: +1.5 Diopter reader eyegear..
Worker safety kit readers 2.0 Includes: +2.0 Diopter reader eyegear..
Worker safety kit readers 2.5 Includes: +2.5 Diopter reader eyegear..
Worker safety kit large Description: Large..
Worker safety kit regular Description: Regular.. Constructed of polyethylene-laminated polypropylene. A cost-effective alternative to Tyvek®. Special..